Spain's Group B clash with Iran at the World Cup on Wednesday should be decided by one very simple equation: How effectively can Fernando Hierro's side break down the meanest defence in Asia? While that may not differ too much from the scenario in many group stage matches pairing the big beasts of the game against those nations who occupy lower rungs of the FIFA rankings, the X-factor in Kazan could be Carlos Queiroz. The 65-year-old former Real Madrid coach and Manchester United assistant is a master tactician and no novice World Cup campaigner, having overseen Portugal in 2010 and Iran four years ago in Brazil. Although he frequently complains about the lack of resources available to him, Queiroz has had seven years to work with his players and bed in the tactics and organisation that have made Iran's defence so parsimonious. Iran did not concede a single goal until the last of their 10 final round Asian qualifiers when their spot in Russia was already secure, at the same time creating enough going forward to win six of those matches. Against that, for all Spain's world class talent, Hierro has had little over a week to work with his team after being rushed into the job as a makeshift replacement after the sacking of Julen Lopetegui. 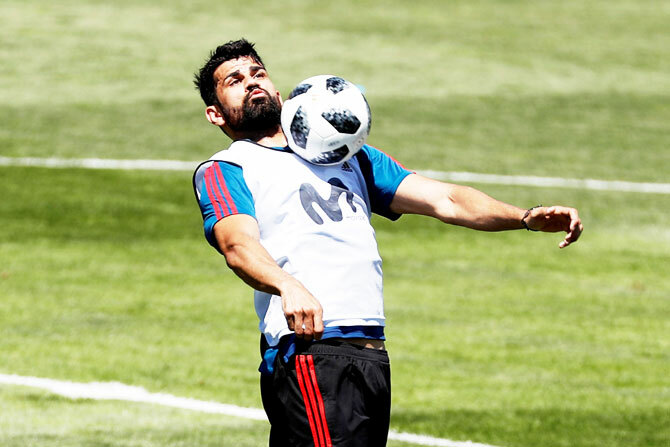 Like many great footballing dynasties, though, it is probably true to say that the Spain side could probably run itself given the wealth of experience at the core of the team. They certainly did not look in any way disjointed in the 3-3 draw against Portugal with which they opened their campaign, even if that result means they need to get their goal difference up if they want to have the best chance of topping the group. Failing anything else, Hierro might have done well this week to dig out the tapes of Iran's match against Argentina in the group stage of the last World Cup. In that match in Belo Horizonte, Iran kept Argentina out for 90 minutes while creating a good few chances of their own and it took a spectacular stoppage time strike from Lionel Messi to take the spoils. Whether this Iran team have the firepower going forward to match the 2014 vintage remains a moot point after a toothless display against Morocco in their World Cup opener, which they won with a late own goal. At the back, though, they remain as resilient as ever and Spain might be in for a night of frustration at the Kazan Arena.